For anyone who was expecting the opening of March to signal a breakthrough in the 4 percent psychological marker for mortgage rates, it didn’t happen. In fact, rates floated down in the opposite direction, settling somewhere between 3.5 percent and 3.625 percent, depending which lender was involved. Given that banks today are connected to events across the world due to global operations, some were hoping that elections in Europe might cause a kick or two, but no such luck. As a result, lenders were disappointed and are going into the weekend with loan rates being nowhere near the higher profit ranges they were hoping for back in mid-February. The investment side of the mortgage market was extremely quiet as well, with more folks interested in getting home for the weekend or seeing signs of Spring coming versus jockeying for mortgage-backed securities. The only big change expected won’t happen until next week when the next labor market report comes out from the federal government, potentially signally more buying power in consumers, or less. Additionally, the European Central Bank is expected to put out statements on future interest rates in their corner of the world, which has a ripple effect across the pond as well. Most lenders are advising clients to keep their prospects open and not lock down on a particular rate, but it’s hard to ignore the tasty offerings out there from the borrower’s perspective. Two weeks ago lenders were telling people to lock as quickly as possible and not to expect any float-down as the horses were off for rising rates. Someone forgot to tell the market that news, however. While the day's news and media are currently hyper-focused on the federal Sequestration budget cuts to take effect in March 2013, the real question is where the hits will actually occur. Obviously cities with heavy government presence will be hammered by any cut, whether it be labor or contracts. San Diego, CA and Fairfax, VA are two examples of government cities to suffer a lot. Any major spending reduction will dampen those areas’ local real estate activity in the long-term, but the national impact is far more abstract at this point. As a result, the last week of February closed out Friday with 30-year mortgage rate averages at 3.625 percent and the 15-year counterpart between 2.875 percent and 3 percent. The 5-year adjustable rate mortgage sits a bit lower at 2.625 percent but some lenders are over 3.2 percent. 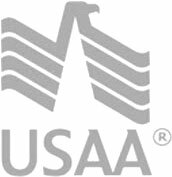 Finally, Veteran Administration loans are fairly competitive, sitting between 3.25 percent and 3.5 percent, fixed.